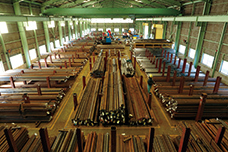 Inventory and delivery capabilities | Core Competence | Yohkoh Bussan Co., Ltd.
Our distribution network enables us to carry a truly extensive lineup of grades as well as various dimensions of steel bars and seamless steel pipes. 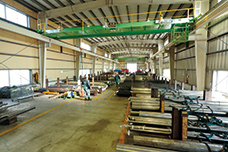 Products can be cut and fabricated at our warehouses and we can offer small-lot with high frequency shipments as part of our full range of delivery services provided to customers. 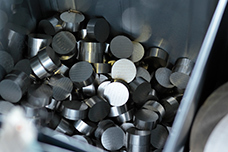 Capitalize on our inventory to streamline your supply chain management. 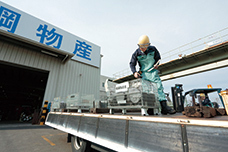 Our three distribution centers located in Osaka, Nagoya, and Kyushu carry a vast inventory of in-demand grades for each region. 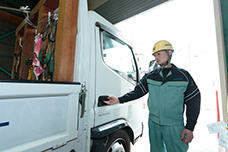 Our distribution centers are situated close to expressways, making it possible to deliver to customers across Japan in a prompt manner. 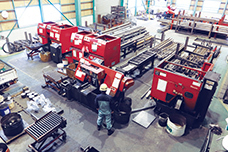 Each of our warehouses have cutting machines on site that can accommodate a wide range of dimensions, including from small to large diameter pieces. 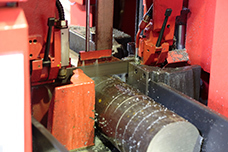 We can cut products to any specified length and deliver the right quantity needed. 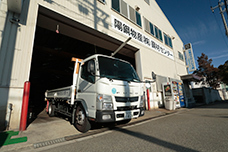 We also accept small lot orders. 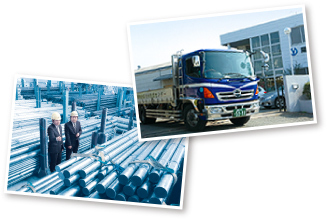 We select the best shipment method, whether it is our in-house service or dedicated contract shipping or the other external shipping partner, to ensure products are always delivered on time in a prompt manner. 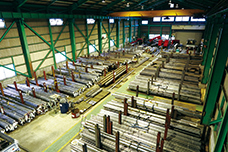 Even when products are shipped directly from Sanyo Special Steel, we know in real time what stage of the manufacturing process any product is in, making it possible to inform customers of the exact delivery date.